There are several types of gear in Revelation Online, each of which is suitable for certain classes. Swordmages and Spiritshapers wear cloth clothing, Gunslingers and Occultists wear leather armor, Vanguards and Blademasters wear plate armor. All classes also have exclusive types of weapons. For example, only Spiritshapers can deftly handle magic bells, and only Gunslingers can manage powerful sniper rifles. All this needs to be taken into account when forming groups, in order to balance the number of contenders for the types of gear. Gear has 5 quality levels, marked by their color. From lowest to highest they are: gray, green, blue, violet and gold. Green items are from killing monsters in the open world and in dungeons. Blue items are earned from completing certain quests. Violet items are earned in dungeons or by killing bosses in the open world. They can also be purchased for city reputation, honor points and Order of Guardians' reputation points. The most valuable gear in the game is gold. It can be obtained for honor points, if your character has achieved the required PvP rank, or for Order of the Guardians' reputation points. You have to create the very best gear yourself. You can obtain your first set of such armor at level 37, after completing a special main storyline quest and collecting or buying resources. Items that are created have higher stats than regular golden items. In addition, once a hero achieves a higher level the gold items created can be remade and their levels boosted while keeping extra improvements. As the gold items created are the most powerful in the game and improving items provides more opportunities to perfect them, the items obtained in raids are not an end in themselves. Often violet items and lower quality items are used as resources required to upgrade gold items. Characters have 5 basic stats (strength, stamina, energy, agility, and intellect) and 33 secondary parameters (for example, chance to inflict critical damage, chance to dodge enemy attacks, resistance to physical damage). Gear can provide bonuses to any stats and parameters. Selected and well-directed gear improvement along with the opportunity to change secondary parameters ensure you can fine-tune your character. 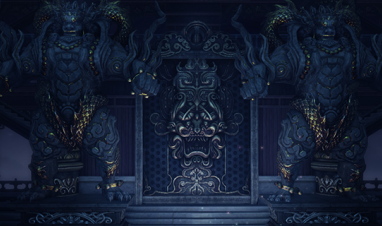 Revelation Online offers flexibility in that the resources needed to boost gear can be obtained in different ways — in dungeons or in the open world, through completing quests or by buying with reputation or currency. 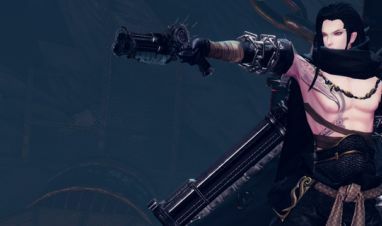 Some secondary parameters are revealed on gear under certain circumstances: for example, additional damage from different elements is unlocked when an item is awakened. And only precious stones get parameters such as additional damage and resistance to damage in PvE and PvP. Created items receive several stats. Blue stats — fixed. Green — random (there can be from 1 to 3, the size of the bonus is determined randomly). If you spend resources, you can change green item stats an unlimited number of times until you get the result you want. All indicators (number of stats, increased parameter and size of bonus) will be reset. New equipment awaits our fighters in CBT3! Want to put your unused equipment to good use? Then get ready to recycle via the Equipment Stripping feature!